Tahina Rakotomanarivo blogs from Antananarivo, the capital city of Madagascar. 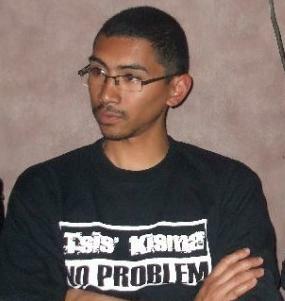 In 2008 he attended a citizen media workshop organized by FOKO, the Rising Voices grantee in Madagascar, with his English language club mates and his life changed. Tahina is one of Madagascar's most active bloggers and twitterers, part of a young generation of internet savvy Malagasies who have turned to cyberspace to share news and opinions on political events in the country. Tahina also worked behind setting up and running of the Ushahidi, the award winning citizen media platform to report on the political crisis. RV: You joined ICE Club to learn English – why? Is English used in Madagascar in daily life? Tahina: I'm among the founders of the ICE Club with close friends who like me are founders of this English language club. English is not really used our daily life, Malagasy people are getting more and more interested in learning it though. I guess they know it can offer them more opportunities. RV: When did you hear about FOKO? How did you join the FOKO workshop? 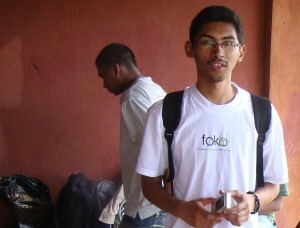 Tahina: Joan Razafimaraho got in touch with us (ICE Club) through our blog and she introduced us to FOKO. 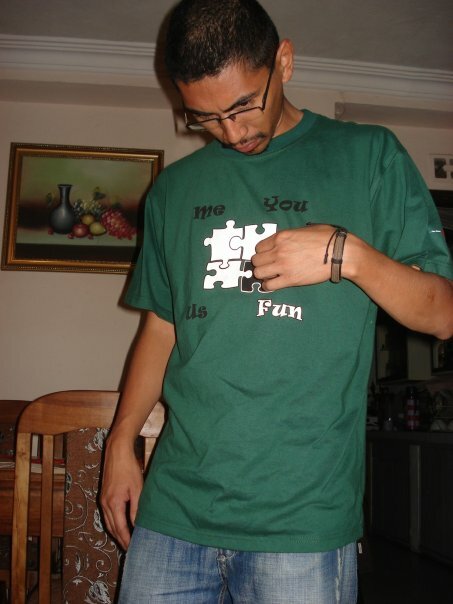 It was in June 2008 if I remember well. She said FOKO would hold workshop on blogging and citizen media in the months to come and invited us to join it. As I found it interesting I decided to go there. RV: What was the first impression of the workshops and blogging in general? Tahina: Pretty positive in general. We were told about the story of Baby Kamba and the role of Diana (and other bloggers and entities I guess) in it. The world of blogging is very wide and you are a bit lost at the beginning but when you start to discover what people blog about and what they are sharing you realize it's a very fascinating world. RV: Tell me about your blog. Why did you choose the title Madagascar not The Movie? Tahina: My blog talks about Madagascar, the Island. After the FOKO workshop, I was looking for something that I could blog about and I didn't look far, why not blog my country and its people. I think I won't be the only one who will say that our country is hidden by the movie of the same name on the Internet. So the title is just to counter this. RV: What difference does it make blogging in English in Madagascar? Tahina: Mainly, the readership. According to my stats, most of my readers come from Anglophone countries. RV: How blogging has changed your life, especially after the political crisis in your country? Tahina: It has brought me experiences online and on site that surely will stay for long in my mind. RV: Do you find it is important for a blogger to have an international outlook so that conversations between people of different countries can happen?? Tahina: It depends on who you are targeting in your blog. Conversation between people of different countries can happen when you are taking about something that matters to them, something that gets their interests. RV: You are also active on Twitter. What are the advantages of using micro-blogging services? Tahina: It quickly spreads and you only write the essential. To sum up, it doesn't take much time. RV: You are also a good photographer and have a Flickr account. Tell us about your thoughts on photoblogging. Tahina: During a photography workshop with Tibora Bea organized by FOKO I explained why I liked taking photos. They are more meaningful sometimes and writing is just not my favorite exercise. Ariniaina and I share the same point of view on this. RV: What are the challenges you face while blogging? Tahina: The main challenge is the Internet connection. Costly and has bad quality. It's a real pain for example to upload photos and videos. Sometimes, loading the administration panel of wordpress can take you several minutes. RV: As a prolific blogger as we have seen in past – you have slowed down recently. Any particular reason? Tahina: It's for professional reason. I have to focus more on my job. RV: What is your future plan regarding the use of citizen media? Tahina: I will keep it up, it's just a matter of time but may be I will go more towards photoblogging. Encouraging personal story! Keep it up. Those challenges are part of the game. Blog more and indeed photo blog about those challenges. I look forward to a screenshot/photo of power failure or poor internet connection!